A tribute to Aimé Césaire (1913-2008), the great poet, playwright, essayist and politician from Martinique, on his 100th birthday. How can Césaire still inspire us today? With Antoine Tshitungu Kongolo, Joris Note (writers), Younouss Diallo (actor), Omar Ba (publicist, Afrikaans platform), David Van Reybrouck and Olivia Rutazibwa (moderator). According to poets.org Aimé Césaire was born on 26 June, 1913, in Basse-Pointe, a small town on the northeast coast of Martinique in the French Caribbean. He attended Lycée Schoelcher in Martinique, and the Parisian schools Ecole Normale Supérieure and the Lycée Louis-le-Grand. His books of poetry include Aimé Césaire: The Collected Poetry (University of California Press, 1983); Putting in Fetters (1960); Lost Bodies (1950), with illustrations by Pablo Picasso; Decapitated Sun (1948); Miraculous Arms (1946); and Notebook of a Return to the Homeland (1939). He is also a playwright, and has written Moi, Laminaire (1982); The Tempest (1968), based on Shakespeare’s play; A Season at Congo (1966); and The Tragedy of King Cristophe (1963). “A Césaire poem explodes and whirls about itself like a rocket, suns burst forth whirling and exloding like new suns—it perpetually surpasses itself,” Jean Paul Sartre has written. As a student he and his friend, Léopold Senghor of Sénégal created L’Etudiant noir, a publication that brought together students of Africa and the West Indies. Later, with his wife, Suzanne Roussi, Césaire co-founded Tropiques, a journal dedicated to American black poetry. Both journals were a stronghold for the ideas of Negritude. 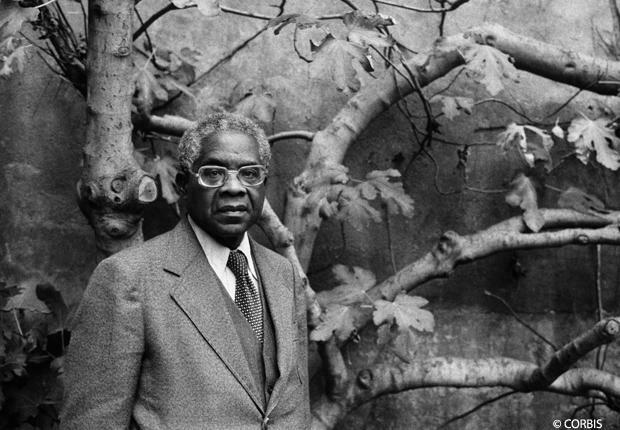 Césaire received the International Nâzim Hikmet Poetry Award, the second winner in its history. He served as Mayor of Fort-de-France as a member of the Communist Party, and later quit the party to establish his Martinique Independent Revolution Party. He was deeply involved in the struggle for French West Indian rights and served as the deputy to the French National Assembly. He retired from politics in 1993. Césaire died on 17 April, 2008 in Martinique.